14. 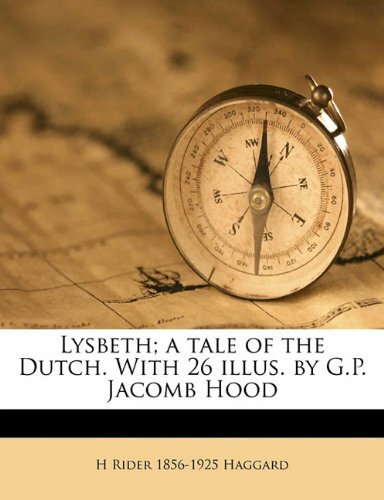 Lysbeth; a tale of the Dutch. H. Rider Haggard's "The Virgin of the Sun", like his classic "King Solomon's Mines", is not written in the mold of a modern wam-bam action adventure. First, Haggard's writing style is more classical, which tends to be a bit verbose. Second, he is not particularly focused on exposition. He doesn't spend much typeface detailing location which is in some regards a shame considering the romantic locations he tends to write on - in this case a virginal South America. Third, his stories are deep and exploratory. Haggard doesn't write to get to an ending, but rather his stories have multiple layers that sit underneath the core narrative. In the case of "Virgin", Haggard explores love, friendship, and women, all while Adventuring across the Atlantic and over South America. Historically, Haggard does a nice job blending Inca history and myth into his adventure tale. In "The Virgin of the Sun", he explores the Inca myth surrounding the rise of one of the Americas greatest pre-columbian leaders - Pachacuti. Now, Pachacuti is most well known for mountain retreat - one of the most recognizable icons in the world - Machu Picchu. "Virgin of the Sun" was published in 1922, only a scant 11 years after explorer Hiram Bingham rediscovered the lost city nestled in the Peruvian mountains. Bingham hadn't yet connected Machu Picchu to Pachacuti, but myth had already surrounded the Inca ruler who's credited with expanding Inca rule to cover a huge swath of territory on South America's western coast. Haggard's story unfolds as a "modern day" anitque hound translates 400-year-old letters found in an ancient chest. The letters tell the tale of Hubert - a fisherman working and living in England. Following a few small adventures and misadventures, our hero, Hubert, meets and befriends a strange man from a foreign land. After Hubert's wife of less-than-24-hours commit suicide and Hubert kills her former lover, he and his friend, Kari, are off into the Atlantic Ocean. Kari acts as a phyiscal and emotional guide to Hubert who's immediately declared a White God by the various natives they come across after finding landfall in South America. 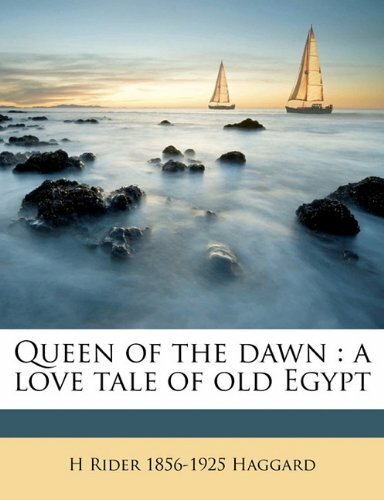 In addition to the Victorian era-like romance that leads to his wife's death, Hubert also falls in love with a beautiful Indian princess, Quilla - daughter of the moon. While their loves develops rather abruptly, Haggard does a nice job of using a surprisingly touching romance to further Hubert and Kari's adventure. The story is enjoyable, but takes a little effort to get used to Haggard's writing style. The pace of the story picks up considerably about 1/3 through following Hubert and Kari's flight from England across the Atlantic. Consider this a strong historical adventure. 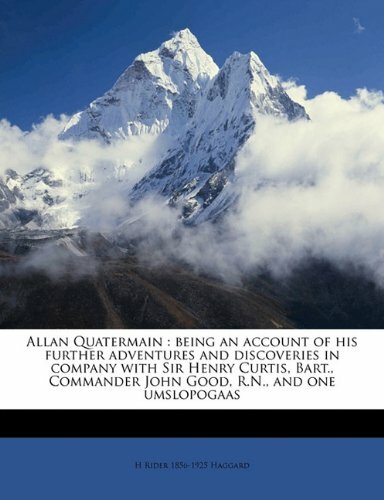 If you're a fan of Allan Quatermain and his African adventures you'll also like this book by the same author. Set in the land of the Incas this thrilling adventure story takes you into a forgotten world of an ancient culture that was later destroyed by the Spanish. 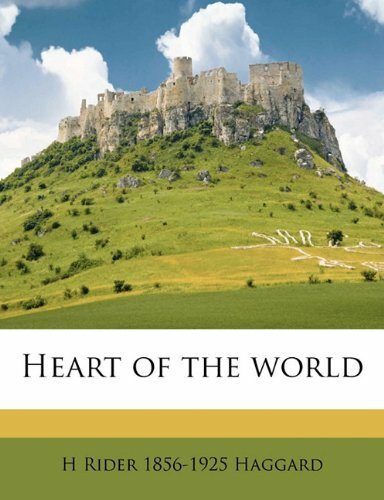 It's a great historical novel that I found hard to put down. "Beatrice" was first published in 1890, and was H. Rider Haggard's 10th novel, out of 58 titles. 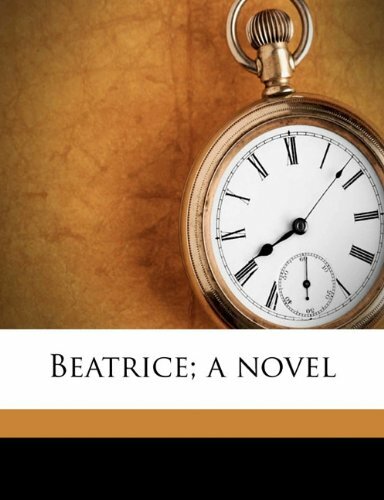 Unlike so many of his other books, "Beatrice" is one that features almost no action scenes whatsoever; no lost races, no adventure, no battles, no supernatural elements. What it IS, is a beautifully written romance novel; indeed, is is one of Haggard's most emotional works. 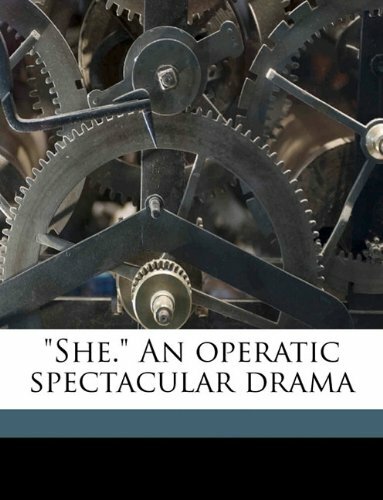 It tells the story of the ill-fated love affair between Beatrice Granger, an unmarried Welsh school teacher, and Geoffrey Bingham, an unhappily married barrister who lives in London. This all starts after Beatrice saves Geoffrey's life in a canoeing accident during a tremendous storm (in the book's only true action set piece), and the two become interested in one another. Trouble awaits, in the form of Bingham's wife Honoria (who's only interested in money and social climbing), Owen Davies (one of the richest men in Wales, who is morbidly obsessed with marrying Beatrice), and Elizabeth (Beatrice's older sister, who will do just about anything to marry Davies herself). So where in other books we might encounter a three-way love triangle, here we have what might be called a love...pentagon? I said before that this book contains no supernatural elements, but this is not quite true. Beatrice and Geoffrey do seem to have some kind of psychic link with one another, so that at times they can sense each other's thoughts and feelings, even when separated. Haggard's recurring theme of eternal love--of a love that survives beyond the grave--is very much in evidence in "Beatrice." This is a theme that was given play in his very first novel, "Dawn"; was much stressed in the four "She" novels; and appears in so many of his other works. Another theme that "Beatrice" seems to stress is the undesirability of the Victorian marriage state. Apparently, back in the late 19th century, divorce was seen to be a scandalous option, even for the most unhappily married couples. Haggard here shows us one such couple, and the problems that arise when this unfortunate union continues. 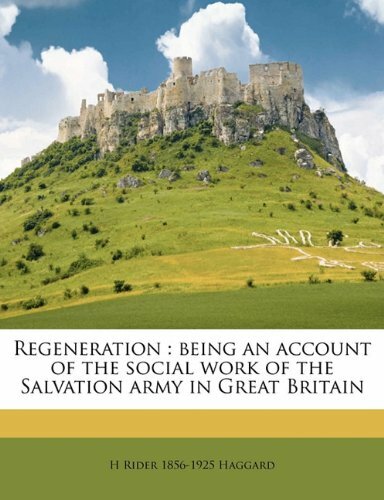 Strangely, the author seems to have no sympathy for the problems that afflict Beatrice and Geoffrey as their romance continues. He even says so, in so many words. One must read between the lines to realize that Haggard does indeed feel for these poor unfortunates. "Jess" was first published in the UK in March 1887, and was H. Rider Haggard's 5th novel out of 58. 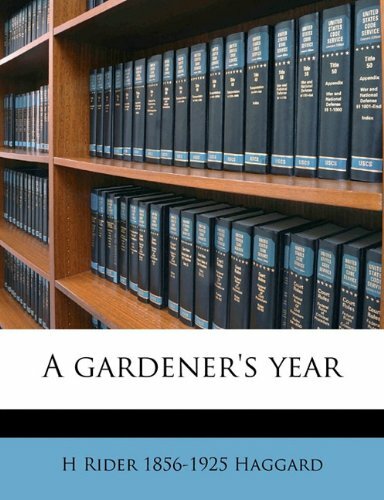 Haggard wrote this book toward the end of 1885...and, remarkably, in just nine weeks! But then again, this is the same man who, earlier in 1885, was able to write the astounding sequel to "King Solomon's Mines," "Allan Quatermain," in just 10 weeks, and who, in 1886, wrote the seminal fantasy "She" in just six! Haggard has been accused of being a careless writer, but that is certainly not the case with "Jess." It is an elegantly written novel, sometimes even poetically written. 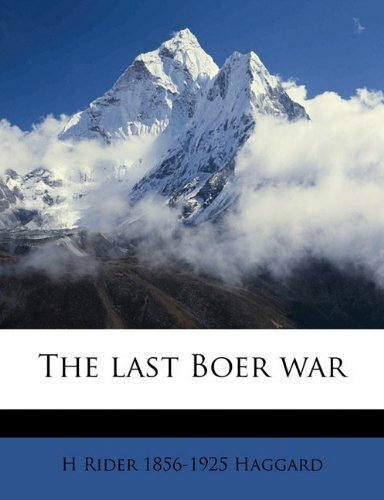 The story takes place during the time of the first Boer War, in 1880-81. Captain John Niel comes to work on the Transvaal farm of a fellow Englishman, Silas Croft, and becomes involved in a love triangle of sorts with Croft's two nieces. One of them, Bessie, is a pretty, hardworking blond; the other, Jess, is plainer looking, intellectual, and deep thinking. Niel becomes engaged to Bessie, but after being trapped with Jess in the siege at Pretoria, realizes that he is in love with her. This makes for quite a mess for these people of high honor. To add to the problems, Haggard throws in one of his best villains, Frank Muller, an Anglo-Boer who has designs on Bessie himself and who wants to kill off the rest of her family, steal their farm, become a great Boer leader and ultimately rule all of South Africa as some kind of monarch. Muller is a truly memorable and hissable villain; extremely handsome, and with a flowing blond beard, full of contradictions and yet quite intelligent, he really does impress. "Jess" contains none of the supernatural or lost-race elements that many Haggard fans have come to expect from his novels. It is rather an extremely believable adventure and love story. This is not to say that the book is short in the action department, however. It does take place, after all, in the middle of a war, and features many scenes of fighting, attempted murder by that hissable Muller, a deadly fight with an ostrich (sounds funny, I know, but it's not), wild-game hunting, and so on. 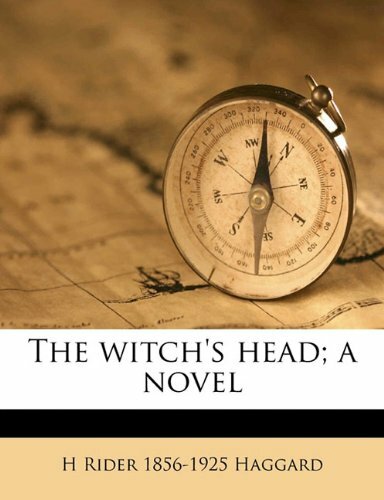 Haggard himself lived in South Africa during the time of that first Boer War, and was also an ostrich farmer for a short while, and those six years that he spent in the country (from 1875-1881) really gave him the tools with which to authentically depict his stories. 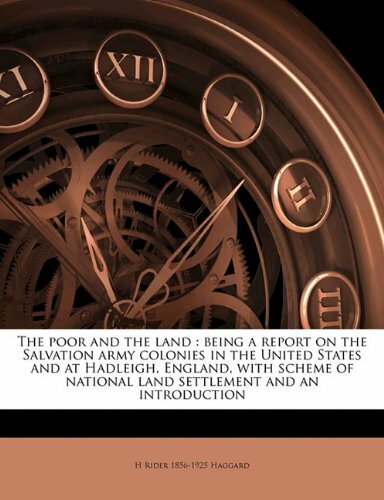 It might be a good idea for a reader going into this book to do some minor research on that first Boer War--nothing too serious; just a little background work--for a fuller appreciation of the authenticity of this novel, but it isn't absolutely necessary. 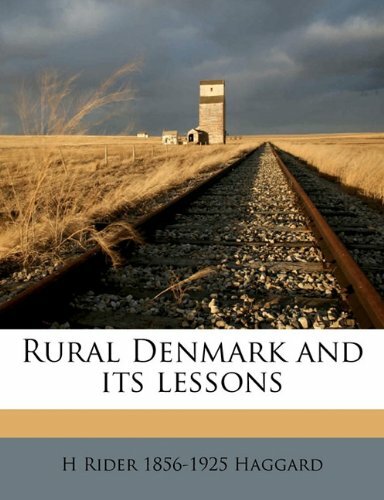 Why read an Edwardian Englishman on Danish agriculture? Sir H. Rider Haggard (1856-1925) is an important progenitor of modern fantasy and science fiction, and his numerous novels include the classics King Solomon's Mines (1885), She (1886), and Ayesha: The Return of She (1905). If Haggard did not originate the lost-world/lost-race subgenre, he popularized it; and the hero of most of his books, Allan Quatermain, is the model for Tarzan, John Carter of Mars, and Indiana Jones. Unlike Edgar Rice Burroughs and Stephen Spielberg, however, Haggard spent several years in Africa. 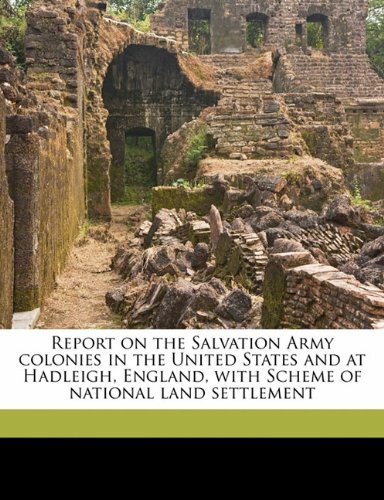 Though he was a product of his time, a white male colonialist, he didn't entirely buy into the concepts of the white man's burden, the glories of Empire, or the simple, faithful black servant; his work is more complex and ironic than you might expect.